The U.S. eCommerce market sums up to a total market volume of US$398 billion and is growing permanently. Until 2020 the whole market will grow by 11% annually. With this study we give insights about how the U.S. eCommerce is structured, who are the biggest players, who is dominating which eCommerce segment. 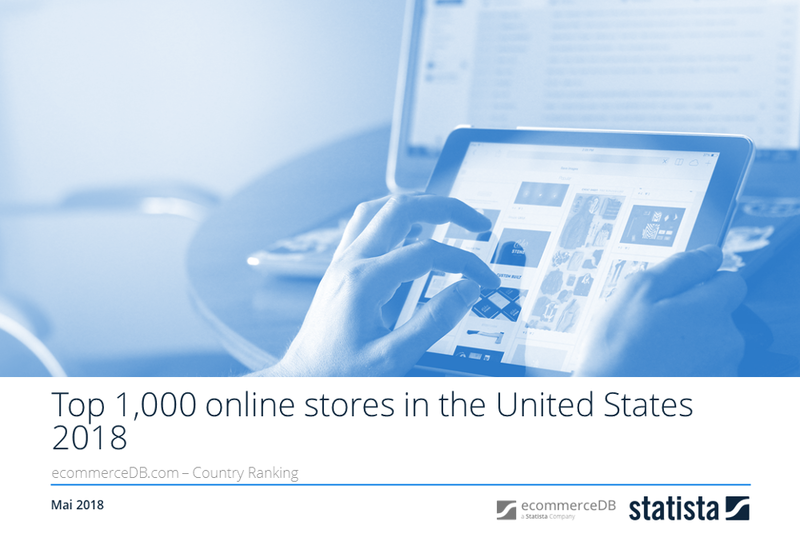 The study “The U.S. eCommerce Market 2018” is based on an analysis of the biggest 1,000 online stores. It lists dealers based on net sales generated in 2017 in the U.S. The report is ideal for the acquisition of new partners, competition and market analysis. The examination of online stores was carried out from September 2017 to February 2018. First step was a market screening to create a list of over 5,000 relevant online stores in the U.S. Net sales data was collected from multiple secondary professional databases (annual reports, press releases for 2016 & 2017). Based on existing data, drivers of E-commerce revenue were identified and influencing factors were quantified through a regression analysis, which allowed missing data to be approximated. The revenue information shown relates to the business year 2017. The study consists of 2 professionally prepared documents: one PDF document and one Excel file with 1,000 data sets of online stores. The Excel file includes all examined criteria of the top 1,000 online stores, sorted by revenue. The excel file is in an easy-to-use format in part due to the convenient tables in which further analyses are possible by using the filter option.